The policy was brought in following the first confirmed case of vCJD transmission via blood transfusion in the UK. CITIZENS FROM NORTHERN Ireland are still not allowed to donate blood in the Republic due to a policy that was introduced ten years ago. Sinn Féin leader Gerry Adams recently asked Health Minister James Reilly about the restriction on this and Reilly said it was based on a permanent deferral policy in regard to blood donation for people who resided for 12 months or more in Northern Ireland, England, Scotland, Wales, the Channel Islands and the Isle of Man between 1980 and 1996. 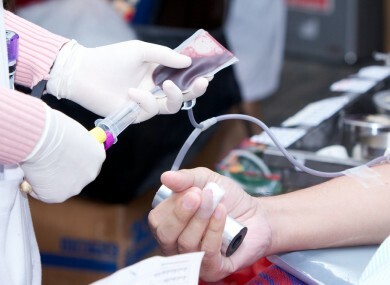 The policy was first introduced by the Irish Blood Transfusion Service (IBTS) in 2004 following the first confirmed case of vCJD transmission via blood transfusion in the UK. There is no test for vCJD and confirmation that someone had the disease is only possible post mortem. The incidence of vCJD, and of BSE, in Northern Ireland, while lower than in parts of the UK, was higher than that in the Republic of Ireland. “The incidence of vCJD, and of BSE, in Northern Ireland, while lower than in parts of the UK, was higher than that in the Republic of Ireland,” Reilly said. This week the Medical Independent reported that the IBTS said it keeps the policy “under continuous review and all new scientific evidence regarding vCJD risk is regularly reviewed”. Email “Lots of NI citizens still can't donate blood here because of 2004 policy”. Feedback on “Lots of NI citizens still can't donate blood here because of 2004 policy”.